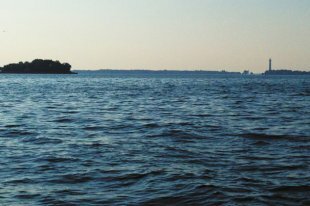 One of the best places in Ohio to enjoy all that fishing has to offer is Lake Erie, the tenth largest fresh water lake in the world. Veteran Erie fisherman and retired large animal veterinarian, Fred Scott, of Lancaster, has fished the Lake for over 40 years and says that he loves fishing this body of water because of the challenge and camaraderie it provides. 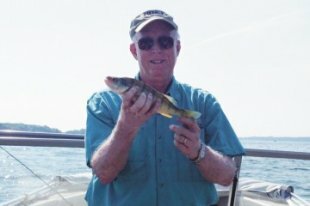 Fred reminiscences about his and his sons’ and his long-time fishing buddies’ adventures up on the big water make it clear that the catching of fish is only part of the joy he derives from their trips to Lake Erie. But, as the heat of summer warms the waters of the Western Basin and much of the walleye population moves to deeper, cooler waters to the east, there are still great fishing opportunities. Despite its relative lack of fanfare, many die-hard Erie anglers prefer to fish for the smaller — and arguably tastier — yellow perch, which are plentiful along the reefs and islands of the Lake throughout the late summer and fall seasons. 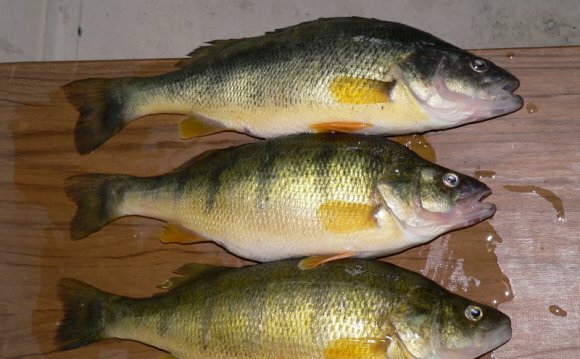 Golden yellow to brassy green in color with dark vertical bands along their flanks, perch average in size from five to 12 inches and can reach up to 16 inches. They feed primarily on aquatic insects and small fish, and can be caught using very simplistic tackle and equipment. Lake Erie perch fishermen typically use two types of lures. Some folks prefer using a crappie rig tipped with emerald shiners (a small bait fish), while others fish with a perch spreader — a weighted metal semi-hoop to which leadered fish hooks are attached and tipped with shiners. A light spinning rod with good tip sensitivity is important for feeling the perch bite, which can at times be very subtle and light. Perch are bottom feeders, so you must place your bait down just a few inches to a foot or so from the bottom of the lake to catch them. Sometimes, when the fish are really biting, all it takes is dropping the bait to the bottom and gradually raising it up to entice the perch to jump on the line. This is what Scott thinks is one of the most appealing aspects of perch fishing. Other times, when the fish are being more finicky, it requires almost Zen-like concentration on the rod tip to detect the faintest bump, tap, or slight bending of the pole to sense the perch’s strike. “They can be sneaky little devils, but when you get into the zone, it’s better than yoga, ” Scott said. Scott has skippered his own vessel for decades and says that being the captain of the boat puts an additional pressure on him. For those new to Lake Erie fishing, Scott cautions against trailering smaller personal watercraft up to this Lake. “Suddenly taking an inland bass boat up to Lake Erie is not a smart idea, ” he said. Smaller bass boats and pleasure boats can get beat down pretty bad on the big water and storms can blow up quickly, churning the shallow Lake into a choppy, dangerous place without warning. Instead, consider chartering a fishing boat. There are numerous marinas and fishing charter services along the Western Basin area to serve your needs. Head boats, or party boats, which charge a modest fee (approximately $40 to $50 per head) per person, are one popular choice. While a very economical option, party boats do not provide much by way of individualized instruction and attention for rookies. That being said, recommended marinas in the area offering quality head boat fishing for perch include Shore-Nuf Charters (shore-nuf.com, 419-734-9999) and Tibbel’s Fishing Charter Service (tibbelsfishing.com, 419-734-1143).